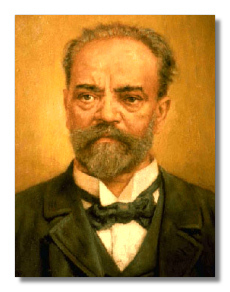 The invaluable oeuvre of the Czech composer Antonín Dvořák (1841-1904) contains nine symphonies, written in the period between 1865 and 1893. His last, Symphony No. 9 From the New World, is by far the most popular and most played; however, the first four symphonies are seldom performed. This is a pity, since Dvořák’s early work does contain fine musical material indeed. This arrangement is based on two movements from his Symphony No. 4 from 1874. The first performance would be given as many as eighteen years later [Prague, 1892], and the work was not published until 1912, eight years after the composer’s death. The Fourth marks Dvořák’s transition into his own style, in which he managed to struggle out of the influences of other composers. The slow introduction of the second movement (andante sostenuto e molto cantabile) is still clearly influenced by Richard Wagner’s Tannhaüser; however, the alla Marcia from the Scherzo is typical of Dvořák, especially owing to the strong references to Bohemian traditional music, which would play such a prominent role in his later work.